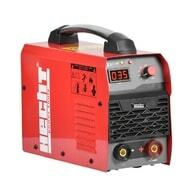 Inverter welding machine. 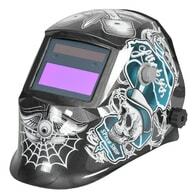 Welding current 20 - 140 A, voltage 25.6 V. Electrode diameter 1,0 - 3,2 mm. Weight 4.7 kg. Electrode holder, earthing pliers, hex key, wire grommet and small hammer part of the package. 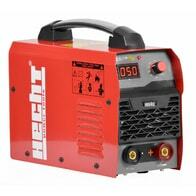 Electric welder - invertor. Welding voltage 26,4 V. Electrode diameter from 1 to 4 mm. Welding current 20 - 160 A. Electric welder - invertor. Input capacity 7,5 kVA. Welding voltage 27,2 V. Electrode diameterfrom 1 to 4 mm. 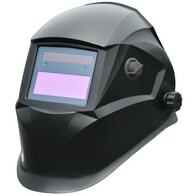 Welding current 20 - 180 A.